I'm 28 and have been diagnosed with PCOS for the last 1 1/2 years. I had been on BC for years, kept quite thin and was only off the pill for 6 weeks when I conceived my daughter. I stayed thin after delivering, ran a marathon and lost even more weight. Probably because of all the running, I ate mostly healthy but had no problem eating what I liked and not gaining. Then I decided to go off the pill again. Before I knew it, I had started gaining weight. I was still running all the time, so this seemed "wrong" to me. After speaking to several doctors - all of which assured me I was just overreacting, I gave up and worked out harder than ever to slow the weight gain down. Shortly after, my husband and I decided to try for our second child. After a year of trying and all sorts of fertility treatments, we still had not conceived and I had gained a tremendous amount of weight no matter what I did. 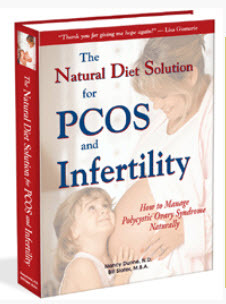 Amidst all that, I was finally diagnosed with PCOS. I have been on glucophage (metformin), diuretics (supposed to stop the androgens) and all sorts of natural supplements. Nothing helped me conceive and the weight kept coming. I've tried Atkins, Nutrisystem, Low GI diet, a non-dairy/gluten-free/egg-free diet, and finally lean protein and lettuce basically. No matter what I eat and how hard I work out/run... I just keep gaining weight. I'm currently trying Acupuncture, but no positive results so far. I truly love to read everyone's stories and tales of success. I just feel hopeless in my own tale. I don't know what to try next. I would love to lose a single pound with all the work and diet that I do. I would love to get back to my old, thinner self and try again for another child. I've been back on the pill for 7 months now and I've finally gotten my period back, but keep getting heavier. I'm so hopeless and don't know where to turn or try next. Has anyone else had this much challenge and frustration finding a solution that works for them? Has anyone gone through all this and finally found something that works? Why are doctors so hesitant to listen and help? Sorry to be negative, I'm just looking for some support right now as I sink pretty deep into depression through this unexpected life struggle. Editor's comments: Hi Jen, there is a subset of women who have PCOS and have an experience very similar to yours. They seem to be OK and then all of a sudden, for no apparent reason, they start gaining weight and no matter what they do, they just keep gaining. This is one of the several extremely distressing aspects of polycystic ovary syndrome. I have no magic solution to offer. I can only offer a few thoughts. 1) Most doctors don't have the time or the inclination to be health detectives and try to solve a very complex situation such as yours. Their job is to "manage disease" with pharmaceuticals or surgery, i.e., identify "X" disease and treat it with "Y" therapy. This approach does not always work when multiple causal factors may be involved. 2) Since you like in the UK, I strongly recommend you get your vitamin D level checked. It is a simple blood test. If your level is low and if you can get your level up to the optimal level, you may see some good things start to happen. 3) So long as you are on metformin, take extra vitamin B12 because metformin induces a vitamin B12 deficiency. You definitely do not want to be vitamin B12 deficient when you conceive and during your pregnancy. Once low, it takes a very long time to rebuild B12 levels unless your receive injections. 4) How is your thyroid function? Thyroid dysfunction can cause weight gain and is very common in PCOS. Optimal thyroid function is critical to your success. 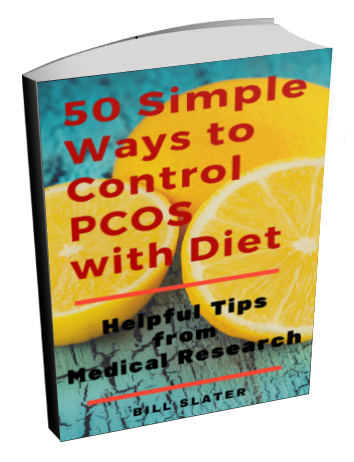 5) Some of the diets you mentioned are not helpful for PCOS. I don't have time here to explain this. 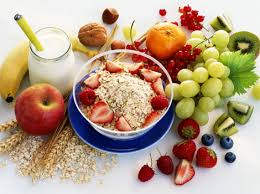 If it's weight you want to lose, I might suggest you purchase The Natural Diet Solution for PCOS and Infertility ebook and follow that diet as best you can. I have no idea whether this will work for you, but if you don't lose at least two pounds at the end of two months, just ask for your money back. "I have seen what it's [the ebook) done for her. At the age of 37 she has been trying to get pregnant since she got married back in 1999. She has never conceived because she didn't ovulate. She exercised regularly, ate a balanced and nutritionally dense diet, had a positive attitude, was in a healthy loving relationship. She sought out experts in nutrition and has done cleanses and detox programs, has tried many supplements. She went on several diets to try to lose 10% of her body weight, I believe she tried the Zone and the last one she was on was Jenny Craig or something like that. The weight came off but did not stay off. She has had hormone testing done and was diagnosed with PCOS several years ago. Nothing that she was doing worked, she didn't have a regular menstrual cycle, in fact if she had a period twice a year that was normal. When she had a period she had extreme cramping. She found this book a few years ago but did not invest herself in it at the time to follow the plan. Last fall she and her husband made a conscious effort and said, we are going to give this a try and they followed it to a T.
She lost 27 pounds, feels better than she has since she was 17, and she is now 14 weeks pregnant. 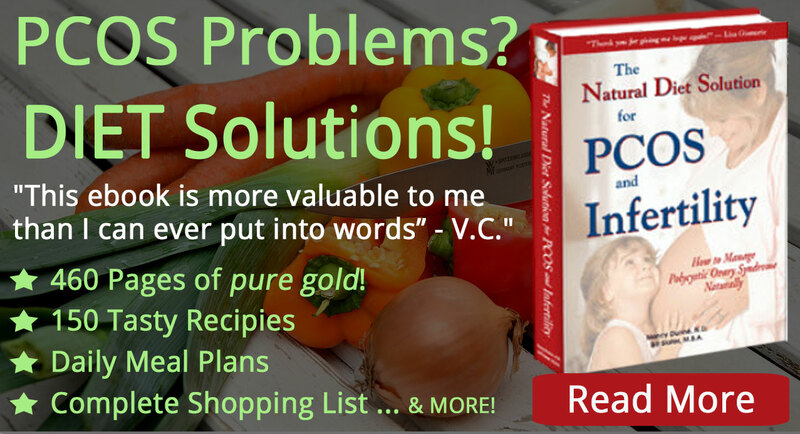 I know there isn't one thing that works for everyone, but she found this book very helpful in determining what foods would be helpful and harmful, and what type of exercise to do and when. Many people need a strong guide. She believes this is it. We are in the business of helping our patients through natural and holistic means and though we have both been trained in the same specialty of pediatric and prenatal care, we did not receive a guide such as this to share with our patients. With this specialty, though, we consistently are referred patients who need this kind of help whether it's to be able to conceive or just to reduce PCOS and other hormone related conditions. This book would be a tremendous resource for us and our patients." Response to Amber's "I Feel Hopeless"
It's hard to know what you should do when you're feeling depressed. Even if you knew, it would be hard to do anything. So where could you start? I might suggest you start a daily journal, a place where you can record what you're eating, how much you're exercising, how you feel about your day, what you did to take care of yourself, etc. You are not judging yourself. The purpose of the journal is to increase your self-awareness and gain some insight into your behavior patterns. Let's talk about exercise for a moment. I have the feeling from what you say that you have tried exercising but it's not clear you're exercising now. It's easy for me to imagine that, because of working so much, you are not exercising. If this is the case, I would suggest you set an exercise goal. Exercise is super-helpful for relieving depression. Since you're working 2 jobs, you're probably not exercising at all and are not physically active in other ways. Pick something really easy and very doable. For example, set a goal of walking around the block where you live or work. You should be able to do that in 5-15 minutes. It doesn't matter how fast you go at first. The purpose is to just do it, regardless of how tired or depressed you feel. And don't give yourself a bunch of excuses for not doing it, such as "I don't have time", "I will do it later", etc. The reason you are doing this is to develop a new habit and increase your self-esteem, even a little. Take this short walk every single day for 30 days. Yes, every single day, rain or shine. It takes 30 days to develop a new habit. If you can develop this new habit, then you can do ANYTHING. You are getting your power back! 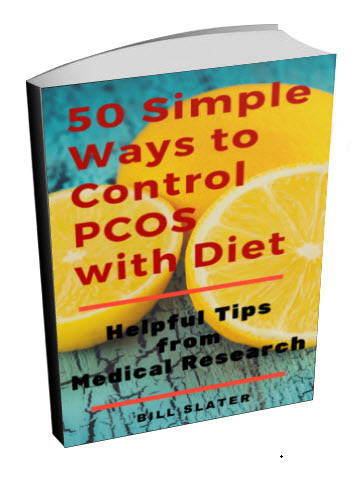 Next, get this PCOS diet e-book and take one healthy diet idea and make it a habit. For example, if you have orange juice and a bagel for breakfast, you could instead have a boiled egg and some green tea. A minor change like this can help your lose weight and improve your energy. Make a minor dietary change like this your new habit. Now you have two new habits that are empowering you. If you lose one of these habits, just re-start it. Much of success in life is replacing habits that don't serve you with good habits that truly serve you. Be patient. Be persistent. Be kind to yourself. You have a lot going for you!! 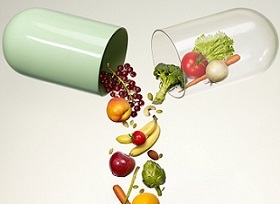 Finally, understand that pharmaceuticals can be useful tools but do not ultimately improve your health. I'm Amber, recently turned 21. This is supposed to be an exciting time. But I feel so alone and I'm depressed. I have so much going for me. I'm currently buying my dream home (log cabin). I'm supposed to be in my prime yet I feel so ugly and fat. I've been on Metformin for about 6 months no periods no weight loss in fact weight gain. I also take hydrochlorothiazide to help control my blood pressure. I've been taking it since first diagnosed 5 years ago. No change. I suffer from depression, fatigue (I'm ALWAYS tired). I work alot of hours to keep myself busy. I wouldn't call myself fat. I'm told I carry my weight amazing well. I weigh 211 pounds but the people that guess say I weigh about 165. I'm 5 foot 7 and have an odd shape, broad shoulders skinny legs, not a beer gut or nothing but the typical rolls. Anyways, I've been a member on this site since I was 16. It's helped hearing there is hope yet I've tried so hard. I work out hard, changed my diet and didn't lose but 2 pounds. They say I do not have thyroid problems. I'm not sure if I have insulin resistance but I never feel good anymore. Of course I'm sure the depression helps with that. But all I can do to pass time is work more. I'm currently working 12-14 hours at one job and 6-8 at my other. Please help. I meant to say progesterone cream. My thyroid has been checked and re-checked. I also do not have insulin resistance. I am going to get a vitamin D supplement. I feel as though a lot of PCOS information does not pertain to me. Are there any studies that you know of that pertain to my symptoms? Editor's comments: There is a sad scarcity of research on women who have been diagnosed with polycystic ovary syndrome but do not have the classical symptoms, e.g., not overweight, no hair problems, no insulin resistance, etc. It's almost as though lean women have a different syndrome altogether. I'm a bit surprised the progesterone cream did not help you. The one other thing I might add to my list of previous suggestions is the B-vitamin inositol. Substantial inositol supplementation has been shown to improve ovulation in women with PCOS. Even lean women may benefit. Powdered inositol is the preferred form, since it is cheaper and you don't have to swallow a whole bunch of inositol tablets. I was diagnosed with PCOS in September 2009. The only symptom that I have is that I do not get my period or ovulate. I am not overweight, not diabetic, no excessive hair growth. Perfectly healthy. I was on Clomid for 6 months - ovulated twice but did not get pregnant. I then tried hormone shots and had several tests - thousands of dollars worth - a waste of money! Currently I am taking liquid Vitex. I started in May and had a period and ovulated. I also use a natural estrogen cream in hopes of balancing my hormones. I was at the doctor last week and they recommend that I take Metformin. This is supposed to drop my insulin level (even though it is not high). I am told that the drop in insulin level is supposed to break the PCOS cycle. I can take the Metformin or lose 20 pounds in one month - my doctor says this is impossible since I do not have the weight to lose. Help! I do not know what else to do. I am not the typical case so I feel as though a lot of the research done does not pertain to me. Editor's comments: PCOS is a very complex disorder, with many variables at play. Not sure why you are using estrogen cream. Did you mean to say progesterone cream? Many women with polycystic ovary syndrome have estrogen dominance and thus you do not want to take extra estrogen in the form of a cream. 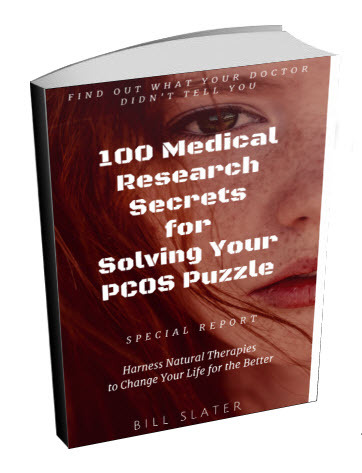 Women with PCOS tend to have too much estrogen and not enough progesterone. 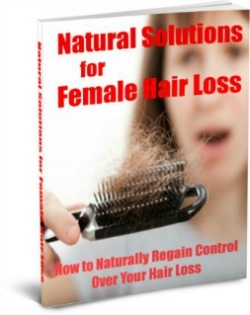 Vitex is used to help you produce more progesterone and thus be able to have a monthly cycle. A potent vitex can be found here. Metformin is a medication for reducing a condition called "insulin resistance". There is no point in taking metformin unless you have insulin resistance. You should ask your doctor whether he or she has made a definite diagnosis of insulin resistance. If not, then ask your doctor why metformin was recommended. Many women with PCOS have a vitamin D deficiency. A vitamin D deficiency makes ovulation difficult. Ask your doctor for a vitamin D test. If you're below the midrange of normal, you will need to take supplemental vitamin D.
The best way to manage insulin is to eat a very, very healthy diet and get plenty of exercise. Thyroid dysfunction impairs your ability to have a normal cycle and become pregnant. Has your thyroid function be carefully evaluated?